London: According to a new study, individuals who suffer from diabetes and successfully lose weight through a very low calorie diet, can reverse their condition and remain free of diabetes for the long term. In addition, even patients who had type 2 diabetes for up to 10 years can also reverse their condition. The findings showed that the fat, which accumulated in their pancreas, gets removed as a result of a low calorie diet and thus leads to the normal production of insulin. What we have shown is that it is possible to reverse your diabetes, even if you have had the condition for a long time, up to around 10 years, said lead researcher Roy Taylor, professor at Newcastle University in Britain. Individuals vary in how much weight they can carry without it seeming to affect their metabolism. If a person gains more weight than what he or she personally can tolerate, then diabetes is triggered, but if they then lose that amount of weight then they go back to normal. The bottom line is that if a person really wants to get rid of their type 2 diabetes, they can lose weight, keep it off and return to normal, Taylor maintained. For the research, published in the journal Diabetes Care, 30 volunteers having type 2 diabetes for between six months and 23 years embarked on a diet of 600 to 700 calories a day. Participants lost on average 14 kg. Over the next six months they did not regain any weight. 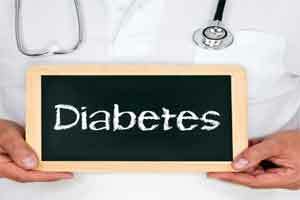 Overall 12 patients, who were having diabetes for less than 10 years, reversed their condition. Six months later they remained diabetes free. Though the volunteers lost weight they remained overweight or obese but they had lost enough weight to remove the fat out of the pancreas and allow normal insulin production, the researchers pointed out. The team was also able to identify in advance participants who would not respond to adequate weight loss by reversing their diabetes as at the start they had almost absent insulin production from the pancreas. This is good news for people who are very motivated to get rid of their diabetes. But it is too early to regard this as suitable for everyone, Taylor concluded.